One of the most important Freedoms of the Air (there are actually nine Freedoms, but only the first five have been officially recognized) is the fifth freedom right. This is how ICAO describes it. Fifth Freedom of The Air – the right or privilege, in respect of scheduled international air services, granted by one State to another State to put down and to take on, in the territory of the first State, traffic coming from or destined to a third State (also known as a Fifth Freedom Right). In other words, even though airlines can’t pick up commercial traffic in countries they don’t fly to, they can be granted these rights if they do so on the way to or from the third country. For example, Honduras can theoretically allow American Airlines to fly between Tegucigalpa and Mexico City, as long as the departure point or the final destination is located in the Honduras or the United States. Of course, there are no fifth freedom flights originated or terminated in Honduras, but the point is that it’s possible, and the fifth freedom right can help air travelers literally connect the dots. There are three major ways to benefit from the fifth freedom right. For a revenue ticket, fifth freedom flights are often cheaper than buying tickets for a regular route because airlines often treat them as auxiliary service on the way to their main destination. It is not always the case, so find the best fare by checking airline websites, Google Flights, and/or one of your favorite OTAs, such as Kayak or Travelocity. You might elect to use a fifth freedom flight simply because it offers a better seat and service, especially in business. For example, you could spend 20,000 Avios or 22,500 American miles on Iberia’s business class seat between Madrid and Frankfurt. That might not be a good use of your miles, though, because intra-Europe business class is basically regular coach onboard a narrow-body aircraft, such as a 737 or A320 with a blocked middle seat. However, the same amount of miles can get you a LAN lie-flat seat onboard a 787. That fifth freedom flight connects Madrid and Frankfurt on the way from or to Santiago de Chile. Sometimes, a fifth freedom flight is simply the most convenient way to get from point A to point B. If, for example, you live in Houston and want to fly to Manchester, the only way to get there nonstop is on Singapore Airlines. As a cherry on top, Singapore flies a new A350-900 on this route with great seats and great service in all classes (business, economy, and premium economy). As you probably know, we are huge fans of free stopovers. They allow you to see more places for the same or slightly more miles than it takes to fly between two locations. 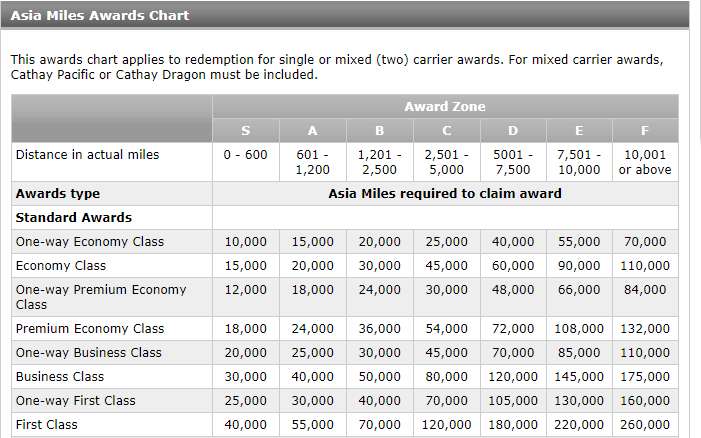 One of the best airline programs to use stopovers on is Cathay Pacific Asia Miles. Here is how you can take advantage of Asia Miles with a combination of the free stopovers rules and fifth freedom routes. Asia Miles also allows you two free stopovers and one open jaw. The chart features excellent redemption rates (especially for roundtrip business class flights), but with the airline limitations imposed by Cathay Pacific, it’s a challenge. First, Cathay Pacific has quite a few fifth freedom flights. Second, some of its oneworld partners have interesting fifth freedom flights, as well. You can fly from New York to Hong Kong and back on Cathay Pacific for 145,000 Cathay Pacific miles in business. This is a good redemption in one of the best business class cabins in the world. However, for the same amount of miles you can also visit Vancouver and Tokyo in addition to Hong Kong. 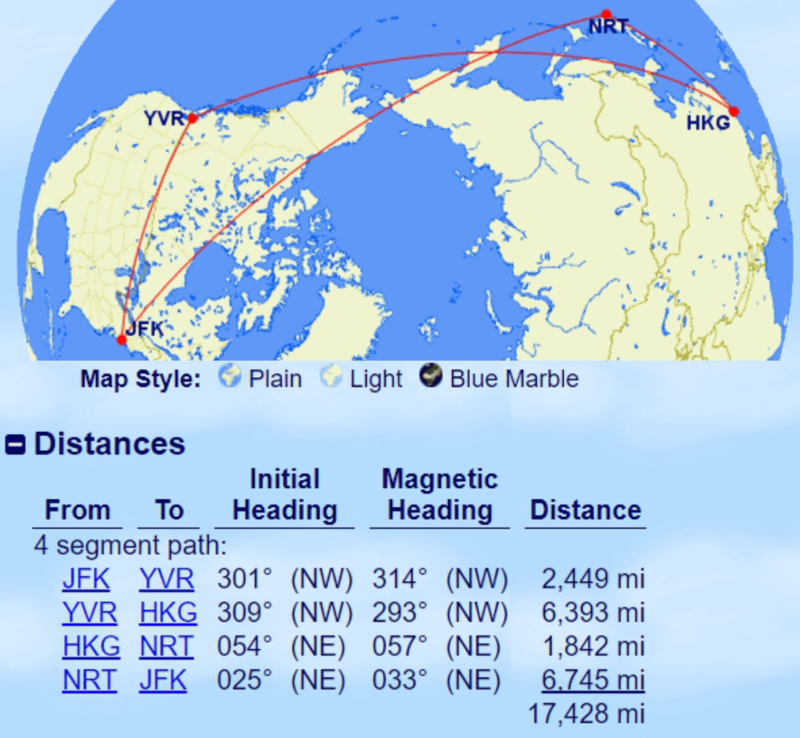 In this itinerary, the flight between New York and Vancouver is a fifth freedom flight, so you can fly to or from Vancouver on a non-U.S. or Canada airline on the way between Hong Kong and the U.S. This flight will cost you 145,000 Cathay Pacific miles in business and 4,500 Avios for a short, open jaw, flight between Hanoi and Hong Kong in economy. Keep in mind that only a few Cathay Pacific partner airlines can be booked online, and Cathay Pacific agents can be hit or miss. They have become better in recent years, but you still might have to call more than once to book a complex itinerary. Fifth freedom flights can offer great convenience and help you derive an outsized value from your award, especially with programs like Asia Miles that allow multiple stopovers but limit your ability to choose partner airlines.